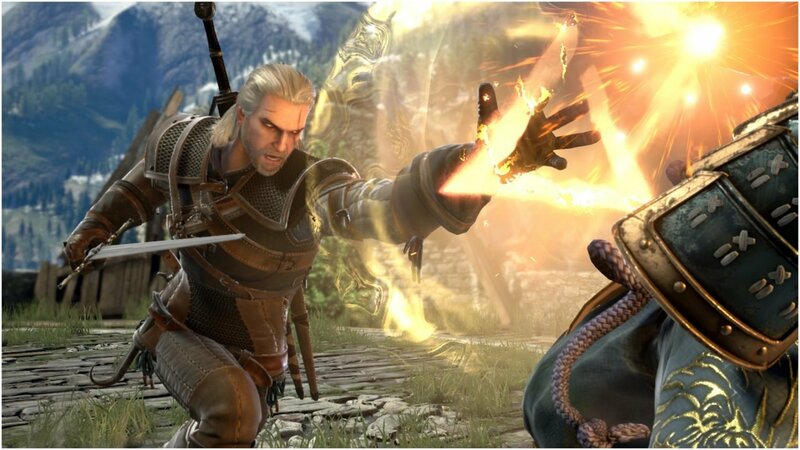 Fans of The Witcher 3 be merry, for Bandai Namco has announced that Geralt of Rivia will be a playable character in Soul Calibur VI. Bandai Namco announced the news in a press release and also debuted a gameplay trailer for Geralt. In the trailer, he is shown using his trusty sword and throwing together combo attacks using magic. and when Geralt is picked in battle the “Hunt or be Hunted” theme from the Witcher 3 will play in the background. On top of the character, there will also be a Witcher inspired battle stage in SoulCalibur VI, set on the training grounds of Kaer Morhen. The SoulCalibur series is no stranger to guest characters as they have previously had playable characters such as Darth Vader and Yoda. SoulCalibur VI is scheduled for release at some point later this year and will launch on PlayStation 4, Xbox One and Steam. Liked this article and want to read more like it? Check out our article on other characters announced for Soul Calibur VI and Jordan Biordi’s review of Witcher 3.